One of the many Boyer photo albums currently being digitized and added to our online collection. Editor’s Note: “Behind the Scenes” is a new, regular feature at the “Service Fulfilled” blog. 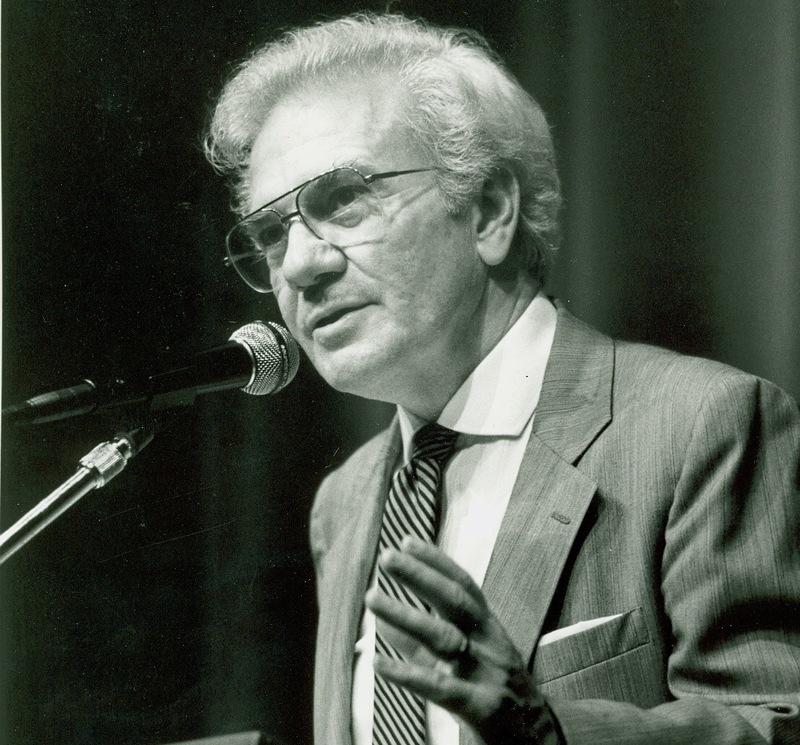 It will offer periodic glimpses into the work of the Boyer Center Archives staff. In these posts, we’ll highlight new additions to the collection, current projects for archives staff, archival questions and conundrums we’re confronting, and other tidbits of interest to those who might use the collection. Stay tuned! While much of the Boyer Center Archives collection is text-based, a sizable portion of the collection is photographic. Our photo collection documents Boyer in various stages of life, often participating in programs, events, and celebrations. Many of these images are housed in photo albums arranged by Boyer’s wife, Kay, at various stages in her husband’s career. 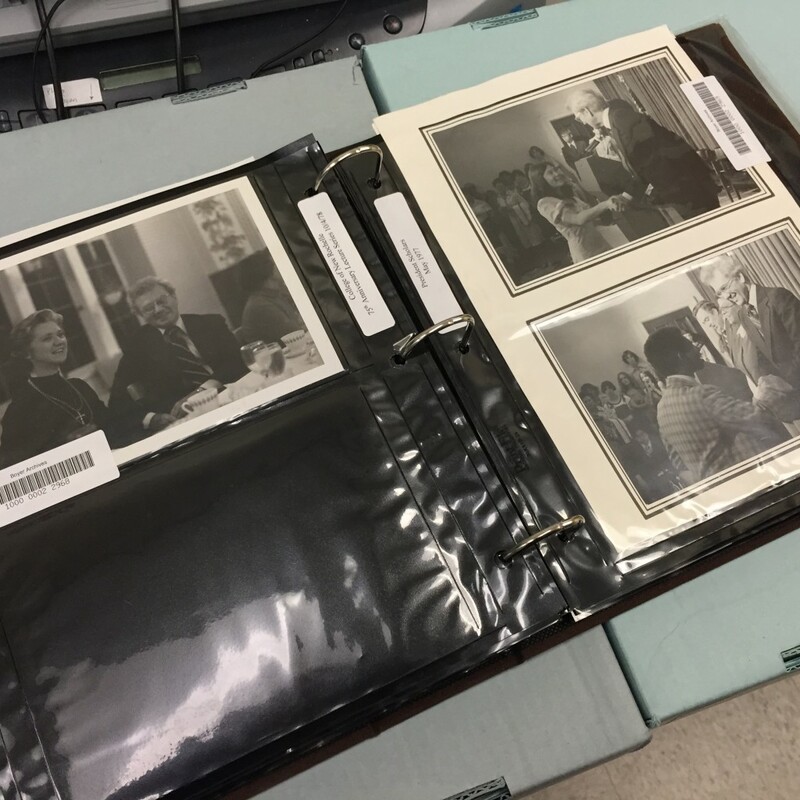 Over the last several months, one of the key projects for Archives staff has been scanning and creating metadata for the important images contained within these photo albums — images that add immeasurably to the rich resources provided by the Archives. For instance, you’ve long been able to read a digitized copy of Boyer’s inaugural address, delivered when he became chancellor of the State University of New York (SUNY) in 1971. But now, thanks to the digitization of these albums, you can also see Boyer reading that address, or see the New York State politicians and educators who attended Boyer’s inauguration, or see snapshots of the reception related to Boyer’s inauguration. In the coming months, we’ll be developing virtual exhibits that will allow users to digitally “browse” these albums in their entirety. In the meantime, you can search the Boyer Center Archives’ photo collection by visiting our catalog, selecting “Advanced Search” on the left-hand menu, checking only the “Photos” option at the top of the search menu, and typing keywords or search terms into the relevant boxes.